Patrimonio Corsica is beautiful and has lots of guest houses. Ofcourse we are only looking for the best guest houses in Patrimonio Corsica. It’s important to compare them because there are so many places to stay in Patrimonio Corsica. You’re probably wondering where to stay in Patrimonio Corsica. To see which guest house sounds better than the other, we created a top 10 list. The list will make it a lot easier for you to make a great decision. We know you only want the best guest house and preferably something with a reasonable price. Our list contains 10 guest houses of which we think are the best guest houses in Patrimonio Corsica right now. Still, some of you are more interested in the most popular guest houses in Patrimonio Corsica with the best reviews, and that’s completely normal! You can check out the link below. Skip to the most popular guest houses in Patrimonio Corsica. This property is a 12-minute walk from the beach. Casa di Rosa is located in Patrimonio, 5 miles from Bastia and 29 miles from Corte. Free WiFi is featured and free private parking is available on site.There is a shared kitchen at the property.LʼÎle-Rousse is 22 miles from casa di Rosa, and Saint-Florent is 3.2 miles from the property. The nearest airport is Poretta Airport, 12 miles from casa di Rosa. Sehr freundliche und hilfsbereite Vermieterin. Gemütliches korsisches Haus mit landestypischen Zimmern. Französisches Frühstück mit Baguette, verschiedenen Marmeladen, Kaffee, Milch und Saft. Domaine Casa Andria offers accommodations in Barbaggio. Free private parking is available on site.Each room at this guesthouse is air conditioned and has a flat-screen TV. Some rooms feature a sitting area where you can relax. A terrace or balcony are featured in certain rooms. All rooms include a private bathroom equipped with a bathtub or shower.There is a 24-hour front desk at the property.Bastia is 4.4 miles from Domaine Casa Andria, and Corte is 29 miles away. The nearest airport is Poretta Airport, 11 miles from the property. Carole was an exceptionally attentive and welcoming host. Our room was sufficiently spacious for the two of us and our dog and was all that we needed for a one night stop over. We ate dinner at a pizzeria/ristorante which was a 5 minute drive away. The continental breakfast was excellent. We are going back for the final night of our stay before catching the ferry back to Livorno. We hope to visit one or two of the 38 independent wineries (which Carole said) are in the near area. The personal welcome from Carole. The home made breakfast. The standard of the rooms was fantastic as was the little private garden with sitting area outside each room. Very friendly welcome and exceptional hospitality. Fantastic breakfast with stunning mountain view. Single room (cleaned daily) was spacious enough for family of 4 (12+8yo) and great bathroom. Small but very clean pool. Tranquil and handy location good for exploring Cap to north, as far west as Calvi and south to Corte. Located 3.1 miles from Saint-Florent and its beaches, the B&B U Castellu Piattu is set in a 8-hectare property, in the heart of the Patrimonio Vineyards. It offers an outdoor swimming pool with waterfalls, a garden and furnished terrace.All rooms feature views of the vineyards, mountains or pool, a flat-screen TV, wardrobe and desk. The en suite bathroom includes a hairdryer and free toiletries.A continental breakfast serving homemade jam, yogurt and pastries is available each morning. It can be enjoyed on the terrace by the pool.Bastia Marina is only 12.4 miles away and Patrimonio is 1.2 miles from the B&B. Additional features include free Wi-Fi access in the public areas and free private parking on site. Access to the property is along a 0.6 miles carriage path surrounded by vineyards, accessible to vehicles. Excellent stay! Nature,ambience,house,pool,overall the design of the house and property is great! Beautiful surroundings, quiet. A great base to visit north Corsica. Martine and Jean-Louis are were super. Demeure à l’architecture atypique et charmante, au milieu des vignes dont on peut goûter le vin à la propriété. Derrière les vignes s’élèvent les montagnes dont la vue est imprenable depuis la chambre d’hôte. Aux abords de la propriété, on est accueilli par de beaux jardins soignés. Les propriétaires vous réservent un accueil généreux, aux petits oignons. Vous profitez de la terrasse pour prendre l’apéro, le petit déjeuner ou pour piquer une tête dans la belle piscine. Les chambres sont très agréables et garantissent un sommeil au calme. Les propriétaires conseillent également de bonnes tables à 1/4h de route à St Florent ou, plus proche, au village Patrimonio. Probablement notre chambre d’hôte préférée en Corse. On recommande vivement ! Très bel établissement situé en plein cœur des domaines viticoles de Patrimonio!!! un vrai petit “château caché”, idéal pour un séjour romantique ou familial. La piscine et l’architecture de l’établissement ont, de part leur originalité, beaucoup de charme. Nous avons été très bien accueillis. Je le recommande et en parlerai à mon entourage. 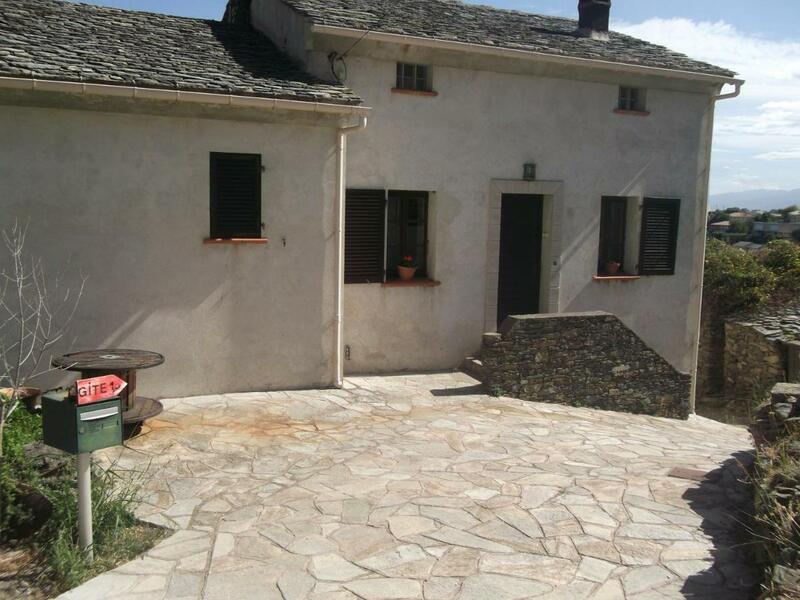 Gîte Marigaby is located in Barbaggio, 3.7 miles from Bastia and 29 miles from Corte. Free private parking is available on site.Views of the sea, mountains or garden are featured in certain rooms. Every room is fitted with a private bathroom.LʼÎle-Rousse is 23 miles from Gîte Marigaby, and Saint-Florent is 4 miles from the property. The nearest airport is Poretta Airport, 11 miles from Gîte Marigaby. Proprietor sandrine was very warm and welcoming. So generous to pack us the left over bread for our canyoning. Also gave us Corsican honey and home made Kiwi jam. Yummy. A hidden gem, living like locals with locals. The landlady is very nice and offers a lot, glass of wine, beer, coffee, honey etc to make you feel welcome. A bit hard to find as no sign with the name. The dog is a sweety. Nobody speaks any other language than French, so be prepared to communicate with hands and feet – but it worked and we felt welcome. Accueil très chaleureux, l”apéritif offert à l’arrivée. Une vue à couper le souffle pour le petit déjeuner. 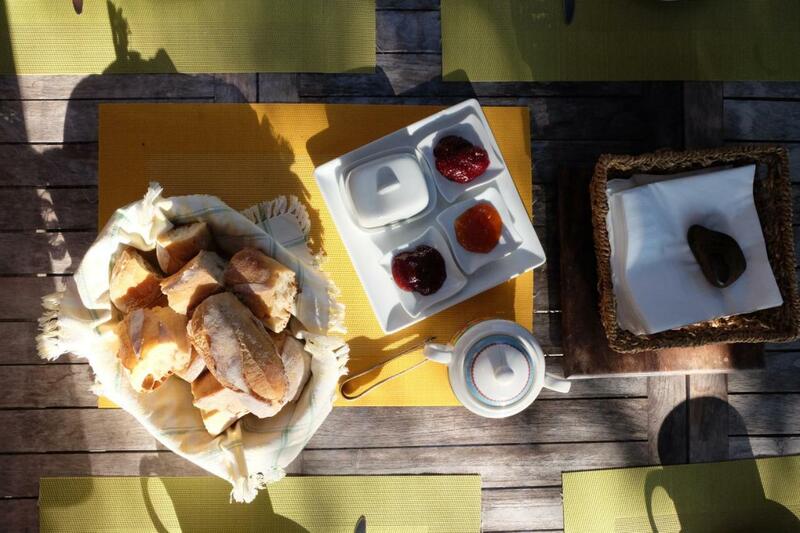 Le miel et la confiture sont excellents. Merci Sandrine ! Featuring free WiFi and a restaurant, Berbi Rosse offers accommodations in Oletta, just 30 miles from Calvi. Free private parking is available on site.The rooms have a flat-screen TV. Certain rooms feature views of the mountains or garden. Every room is fitted with a private bathroom.You will find a shared lounge at the property.Bastia is 7 miles from Berbi Rosse, and Corte is 25 miles from the property. The nearest airport is Poretta Airport, 9 miles from Berbi Rosse. Der Hausherr und sein Sohn waren sehr hilfsbereit und nett. Wir bekamen ein Frühstück gebracht, ohne es gebucht zu haben. Difficile de trouver au premier abord. Il faut appeler le gérant car sa “maison” est difficile a trouver avec les coordonnées GPS ou avec le lieu dit. Cafetière pleine et petits pains au lait compris dans le tarif de la chambre. Sinon le personnel très sympa… chambre au calme. ! Parking en face des chambres ! La amabilidad del propietario. El desayuno muy agradable en el jardín. Habitación amplia y cómoda. Todo nuevo y muy limpio. Con intención de avisar a otros usuarios nos costó un poco encontrarlo y el acceso es difícil con moto cargada. Confortable chambre dans la maison de notre hôte près de Saint-Florent ! Gîtes de Pietrabugno is located in Bastia, 26 miles from LʼÎle-Rousse and 7 miles from Saint-Florent.Every room has a private bathroom. A flat-screen TV is featured.Borgo is 10 miles from Gîtes de Pietrabugno, and Algajola is 30 miles from the property. The nearest airport is Poretta Airport, 12 miles from the property. Located in the hills. Owner very helpful and friendly. La propriétaire était aimable ,et très serviable . le seul point positif est la petite auberge pizzeria au village de Pietrabugno qui nous a fait manger assez tard et organisée avec beaucoup de gentillesse un petit dejeuner specialement pour nous . L’accueil était bon, la propriétaire nous attendait malgré l’heure tardive (retard du ferry). Chambre avec vue extraordinaire, pratique et confortable. Le gîte est situé dans les hauteurs de Bastia, la route pour y accéder est compliqué, sinueuse, je ne la conseille pas de nuit. Featuring free WiFi, Fior Et Andrea offers accommodations in Furiani. Free private parking is available on site.Each room comes with a flat-screen TV. There is a coffee machine and a kettle in the room. Every room has a private bathroom equipped with a shower.Bastia is 3.4 miles from Fior Et Andrea, and Corte is 28 miles from the property. The nearest airport is Poretta Airport, 8 miles from Fior Et Andrea. The accommodation was exactly as described and as portrayed in the photos: it was a small “cave-like” room which has been beautifully fitted out with a comfortable bed, excellent shower-room facilities (although only separated from the main room by saloon type, louvre doors) and very good cooking facilities considering the restricted space. The mountain village itself was quiet and the patio had lovely views over the coast in the distance. The owners were very friendly and accommodating. Notre hôte, Rachel a été incroyablement accueillante malgré un retard de notre avion très tard dans la soirée. Chambre très confortable. Schitterend gelegen 20 minuten van het centrum van Bastia. 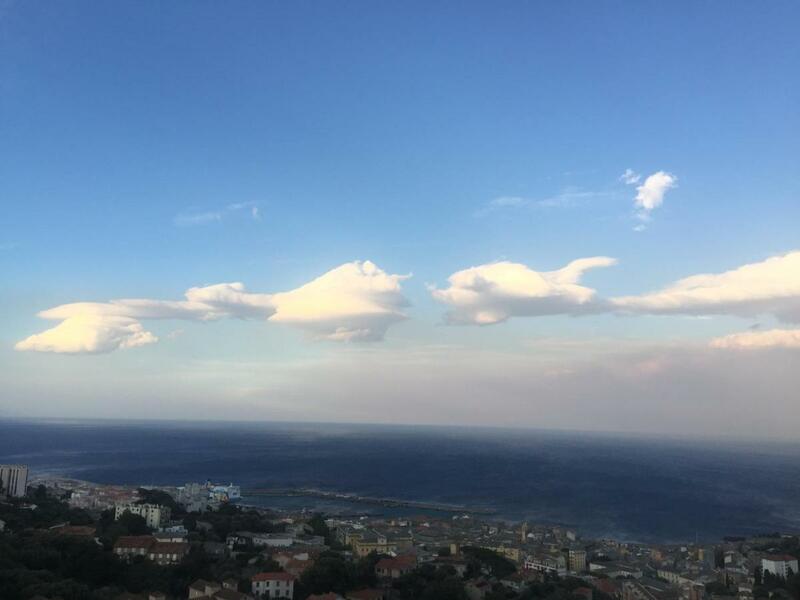 Bovenop een heuvel met uitzicht over de vlakte van Bastia. Quel bel accueil, merci ! Calme, propre, magnifique vue sur le lever de soleil. Furiani est un petit village bien sympa, idéalement situé en arrivant ou en repartant avec le bateau à Bastia. Místo doporučuji. Není to daleko od trajektu – asi 6 km – pořád do kopce. Stará vesnička na vrcholku nad Bastií. Výhled nádherný, ubytování nezvyklé a maličké / kávu vaří jen jeden – druhý odpočívá na terase – už se nevejde – ale tak jsem si to přála a moc se mi to líbilo. Vše bylo čisté. Terasa velmi prostorná a moc pěkná. Přirozené klima v místnosti – při velkých venkovních teplotách/celé 2 týdny na Korsice 30 – 36 stupňů/ – výborné. Pokud se nešťourám v zanedbatelných maličkostech – dávám – v rámci atypických krátkodobých ubytování – známku výbornou – všech 10 bodů. Snídani jsme nevyužili – dá se velmi dobře nakoupit v Bastii – cestou na ubytování. Located 31 miles from Corte, Villa Patrizia offers accommodations in Bastia. The property features views of the sea and is 26 miles from LʼÎle-Rousse.There is a dining area and a kitchen equipped with dishwasher. A flat-screen TV is available. There is a private bathroom with a bathtub or shower.Saint-Florent is 7 miles from Villa Patrizia, and Borgo is 8 miles away. The nearest airport is Poretta Airport, 10 miles from the property. Patrizia es la dueña.Le encanta recibir gente en su casa.Te trata como un hijo.Te ayuda y orienta.Tanto si vas de turismo, como un viaje personal, definitivamente, Patrizia es persona ideal.Ella está llena de vida.Es activa y humana.Y es ése trato personal el que la distingue.Ése “toque de HUMANIDAD”. Excellent accueil de Patricia ! Encore merci pour tout. Le gateau aux chataignes étaient délicieux ! Un accueil très chaleureux avec la maitresse des lieux, son souries. La vue incroyable depuis la terrasse , studio tout équipé . 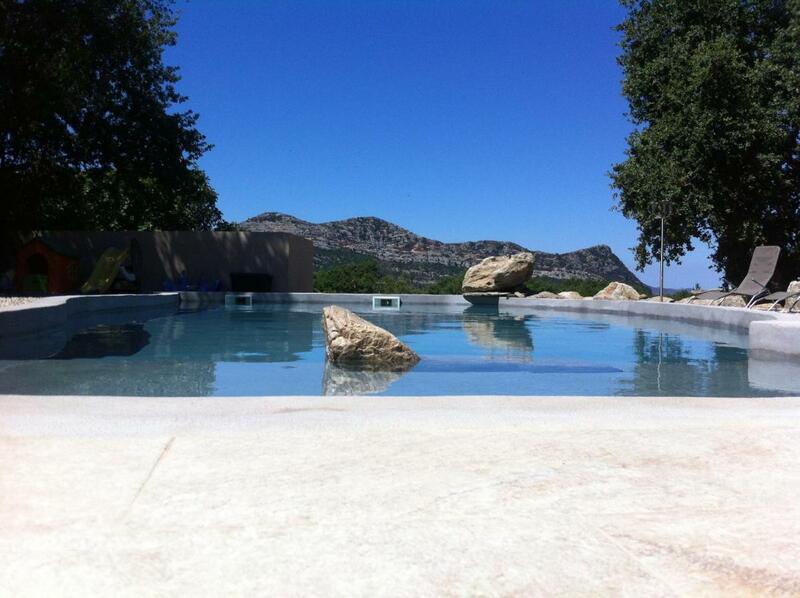 Showcasing an outdoor pool and hot tub, Hacienda Oletta is located in Saint-Florent in the region of Corse. Free private parking is available on site.A flat-screen TV, as well as an iPod docking station are available. Enjoy a cup of coffee while looking out at the mountains or garden. Each room is fitted with a private bathroom. For your comfort, you will find bathrobes and a hairdryer. 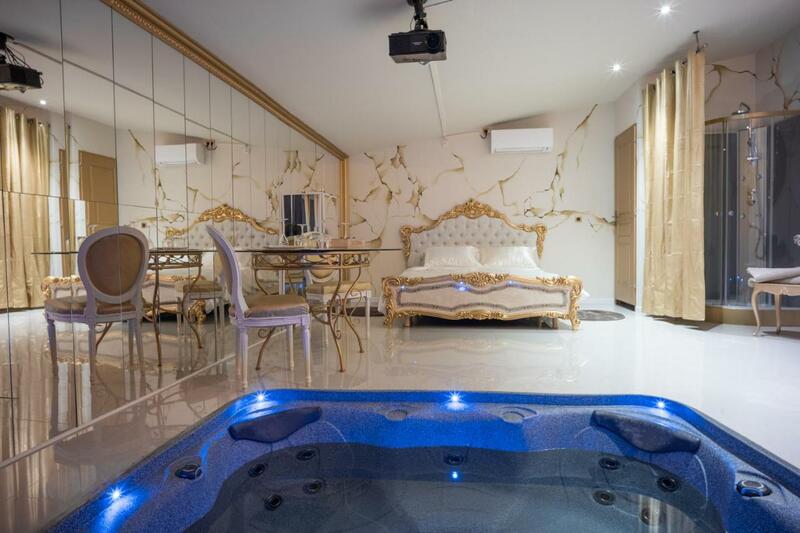 Superior rooms have a spa tub or a hot tub.You will find room service at the property.Calvi is 30 miles from Hacienda Oletta, and Bastia is 7 miles from the property. The nearest airport is Poretta Airport, 10 miles from Hacienda Oletta. This property is 2 minutes walk from the beach. Showcasing an outdoor pool and views of the sea, Maison Rorqual is located in Saint-Florent in the region of Corse, just 28 miles from Calvi. The guesthouse has a seasonal outdoor pool and hot tub, and guests can enjoy a drink at the bar. Free WiFi is provided and free private parking is available on site.Each room has a flat-screen TV. Each room comes with a private bathroom. For your comfort, you will find bathrobes and slippers.You will find a shared lounge at the property.You can play ping-pong at this guesthouse, and the area is popular for hiking. Bastia is 9 miles from Maison Rorqual, and Corte is 26 miles away. The nearest airport is Poretta Airport, 13 miles from the property. Philippe is the best person whom we met in such places. He advised the best options. 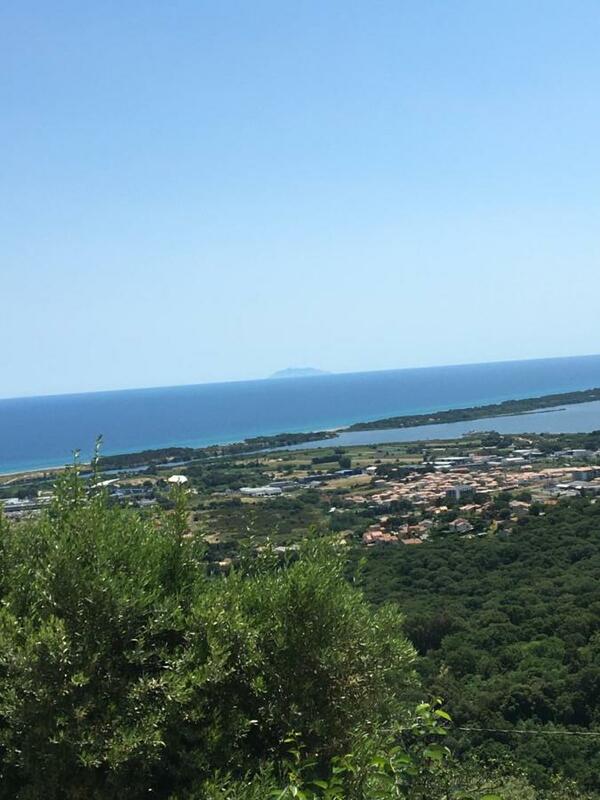 La posizione della proprietà, vicinissima al mare in posizione leggermente rialzata con una bellissima vista. Un accueil extrêmement convivial, une grande gentillesse de Guy, propriétaire des lieux ainsi que de son employé Richard. Un cadre exceptionnel, des chambres toutes différentes et personnalisées, un calme et une superbe vue sur la baie. Au total ambiance très familiale et très décontractée, un petit déjeuner excellent avec des produits locaux! Situation parfaite avec grand parc donnant sur la mer. Architecture authentique avec mobiler original. Petit déjeuner avec produits locaux servi sur une terrasse avec vue sur mer, piscine à débordement, très belles prestations ! Etablissement totalement atypique, conception et décoration exceptionnelles, cadre grandiose, tout est conçu pour qu’on profite sans contraintes et en toute intimité d’un séjour paradisiaque. The above is a top selection of the best guest houses to stay in Patrimonio Corsica to help you with your search. We know it’s not that easy to find the best guest house because there are just so many places to stay in Patrimonio Corsica but we hope that the above-mentioned tips have helped you make a good decision. 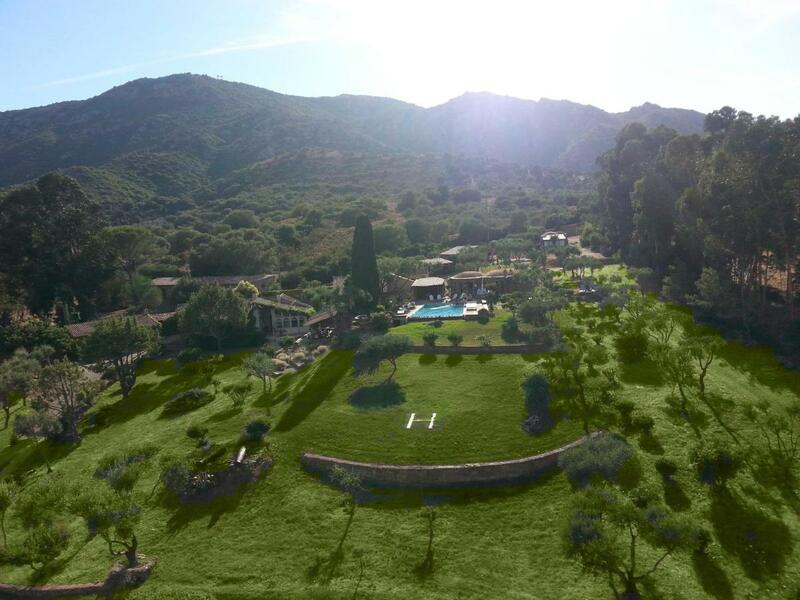 We also hope that you enjoyed our top ten list of the best guest houses in Patrimonio Corsica. And we wish you all the best with your future stay!